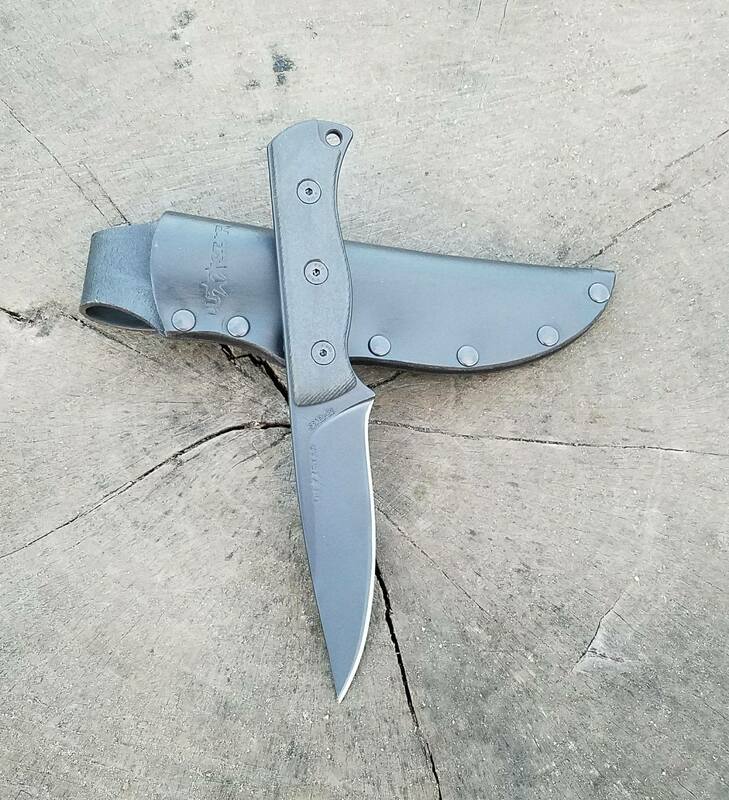 The Magen fixed blade is an all-purpose utility, field and combat knife. It has a black coated drop point blade with flat grinds. The handle is full-tang with nylon reinforced fiberglass scales. The Magen includes a leather sheath.